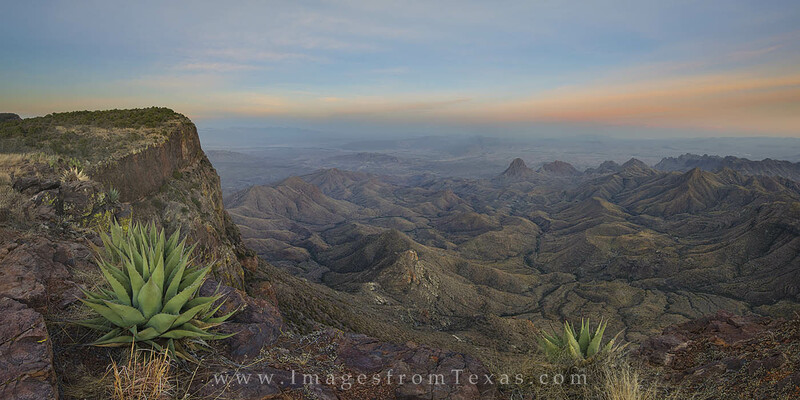 This panorama of Big Bend National Park comes from the famous South Rim, a beautiful and desolate area not seen by most tourists. The hike to this point is over 12+ miles round trip, but the commanding views and vast landscapes are worth the effort. This panorama is available in custom sizes. Please contact me for more information.